Auburn Mechanical is the plumbing contractor for multiple projects on the nearly completed F5 Tower. 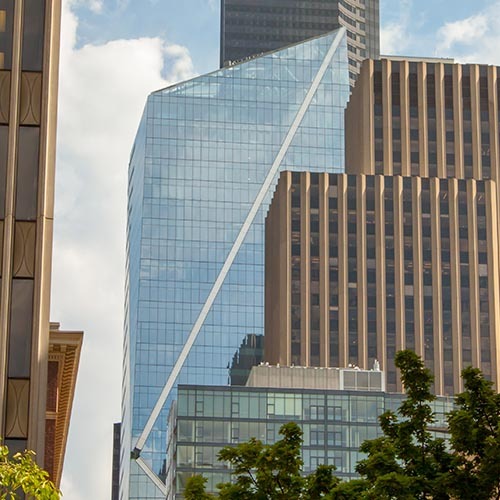 The primary focus of the project is a 44 floor, warm-shell high rise with core utilities to support future office tenants on the upper floors. The tower also includes nine levels of parking as well as tenant amenities. The shell-core tower construction is pursuing LEED certification. The hotel tenant improvement on levels 1-16 included 189 guest rooms, a commercial kitchen and restaurant, conference rooms, and a hotel spa. The project also includes a new 7-floor parking structure for the adjacent Rainier Club as well as a valet office to support that property. Last but not least, Auburn Mechanical was the plumbing contractor for the renovation of the First United Methodist Church next door to the new tower. The work consisted of a full seismic upgrade of the existing structure as it was converted into the hotel’s event space. Architectural elements of the building were preserved throughout construction.